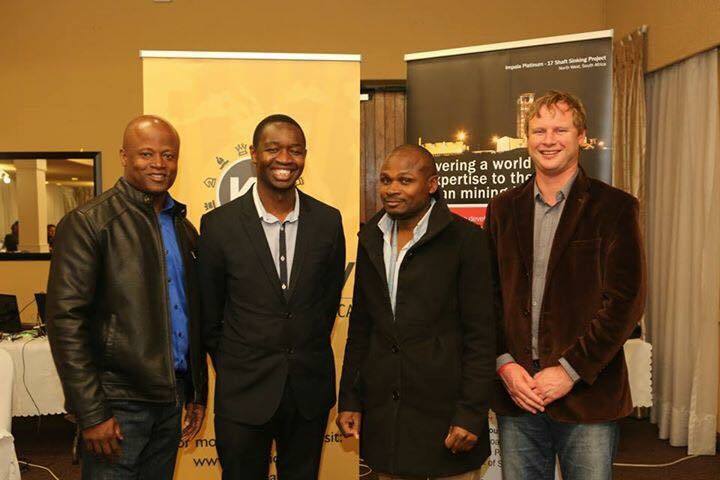 July 19, 2016 Dream Maker event / Millionaire chess / South Africa. 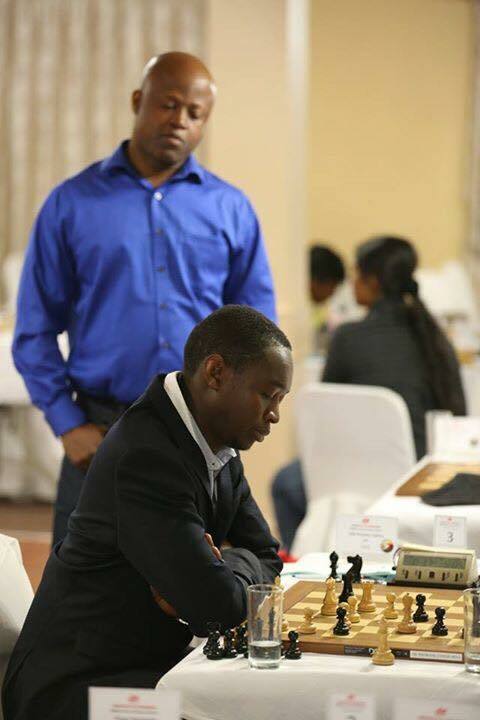 One thing which surprised me when Grandmaster Maurice Ashley came to South Africa for the Millionaire Dream Maker event was the level of interest he showed in the games. I had assumed that he would be just be interested in the games from the top players but he seemed interested all the chess taking place in the tournament. Maurice watches over Reuben Salimu’s Game. 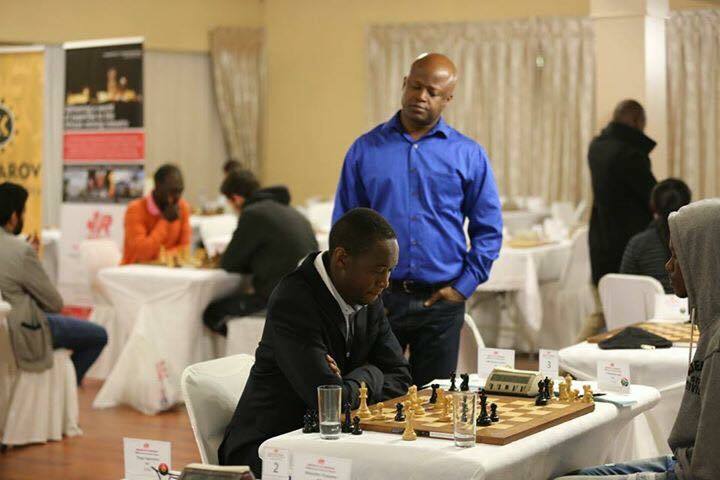 I just finished 2 big International Tournaments and had the pleasure of meeting Grandmaster Maurice Ashley , gentleman in the blue shirt looking at my game. 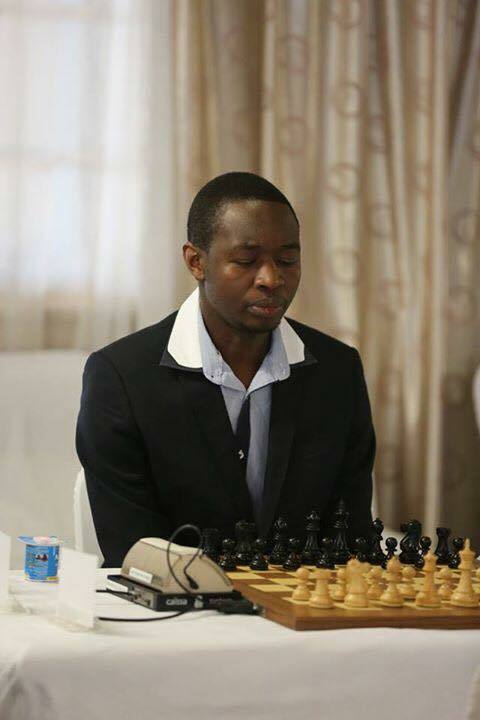 Not only is he an international grandmaster but an inspiring , astute , caring and aware human being. He took the time to help me look at my game and taught me a specific skill which no one had explained to me how to do. Needless to say I immediately took it to heart and when I got back to the hotel and practiced it and used it for the rest of the tournament . It’s one thing being great and successful and quite another achieving all that and still staying humble to uplift those at the bottom to be better. I had a lot of respect for Maurice before I met him but now that I have he has set a standard for me to emulate and work towards. Much more important he made me realize that I can now achieve what I have been working towards now that he helped me handle my obstacles. Thank you! Reuben Salimu gets ready for a game. Perhaps he is deciding on which opening to play. Maurice pauses with the players and sponsor from Redpath Mining.